What a brilliant island, with something for everyone. Of course there is plenty of sun, sand (some of it black) and sea, not to mention pubs and clubs. There is also a wild, volcanic landscape to explore in the Timanfaya National Park and the modern art of local hero Cesar Manrique to discover. Lanzarote boasts over 300 days of sunshine a year, and the average temperature rarely falls below 20 degrees. 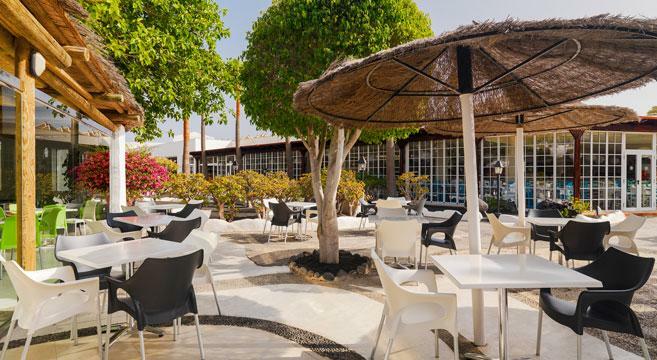 In the resort of Costa Teguise you’ll find the fabulous La Chucharas Beach along with numerous shops, bars and restaurants. There are also great excursions on offer including volcano treks and a boat trip to nearby island, Fuerteventura. 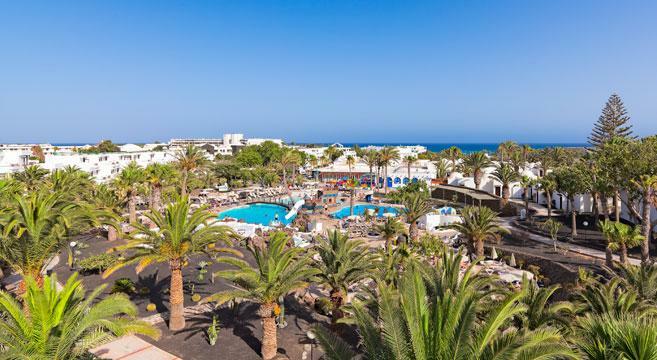 This excellent 4* Lanzarote Gardens Hotel is a friendly apart-hotel complex centrally located in Costa Teguise and scores really well in traveller reviews. The low-rise apartments are laid out around the attractive pool area. You have your own one-bedroom unit with living area, balcony and kitchenette. This means you can make a lunchtime snack if you wish. 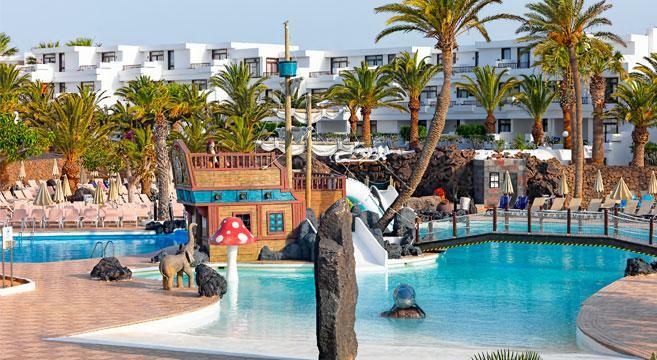 Our holiday dates try to avoid European school holiday dates so that there should be few children around – but they do have their own play and pool areas, so hopefully they will not disturb us too much! 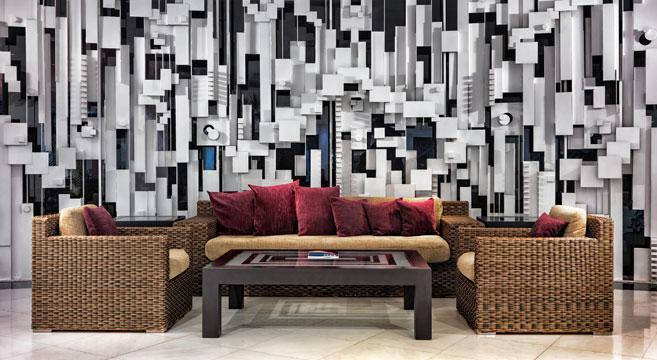 Huge refurbishments took place in 2015 with the hotel now going ‘boutique’ style. 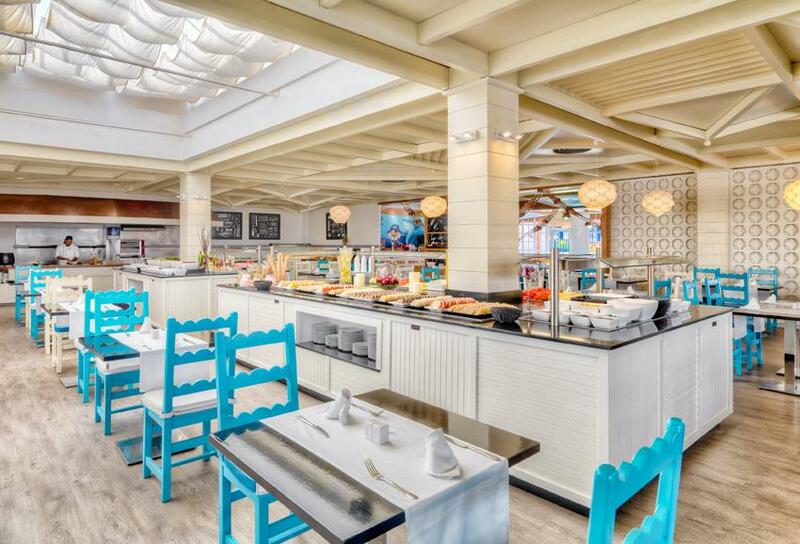 All rooms have been fully refurbished, as well as the whole of the pool area, the bar and the restaurants. The H10 group’s new style is very contemporary, very bright and very chic so expect lots of cool colours and sleek minimalism! 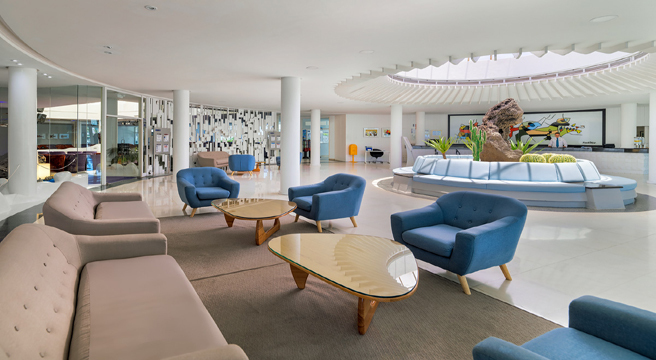 A virtually new hotel, in a great resort, on a fantastic island – what is not to like? 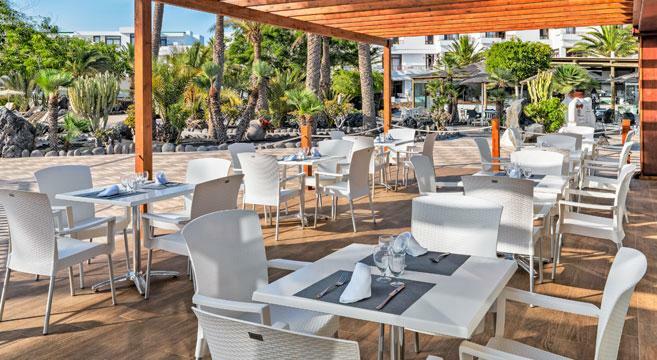 This newly upgraded 4-star hotel is in the tranquil, picturesque resort of Costa Teguise on the East coast of Lanzarote. The hotel is only 200 metres from the Playa de las Cucharas beach which offers 640 metres of golden sand. 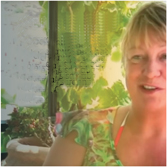 If you love watersports, there are plenty of options and the resort is particularly popular with windsurfers. The town itself has all the amenities you would expect of an established resort, plus a Waterpark that is great fun for big kids – and a golf course. There are numerous bars, many of them run by ex-pat Brits and Irishmen. For those of you who like to stay out that little bit later the nightlife offers live music, discos and karaoke. 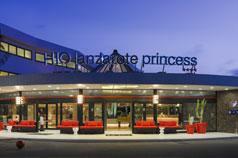 You will also find the local post office, shops, supermarkets and banks all within easy walking distance of the hotel. There’s a good local taxi service, but for daytime exploring, car hire is cheap and easy to arrange. You have your own one-bedroom unit with living area, balcony (or terrace) and kitchenette. This means you can make a lunchtime snack if you wish. 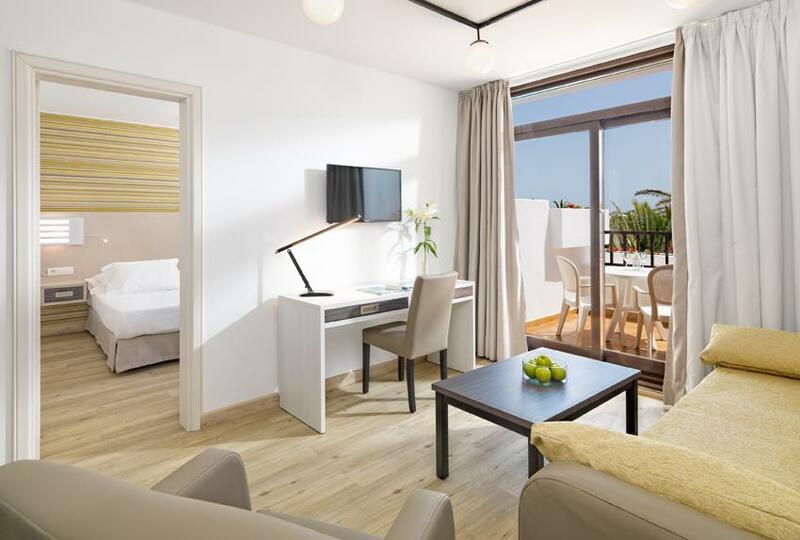 Each one-bedroom Suite in this low-rise resort has either a double or matrimonial-style twins, a living area, furnished terrace or balcony, and a kitchenette where you can make a snack or hot drink at any time of the day or night.